VACATION YEAR ROUND - COLUMBIA RIVER VIEWS w-BEACH ACCESS! Reduced price. Quiet riverfront/peninsula community. 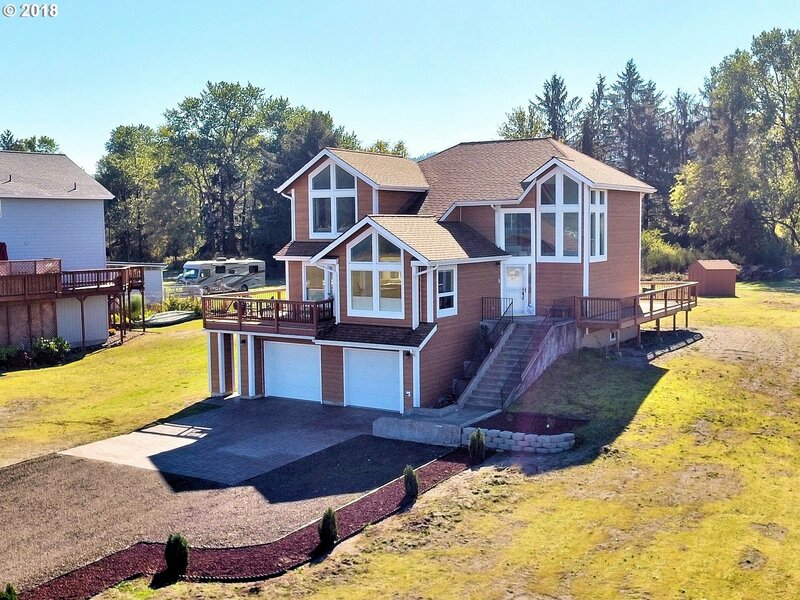 Stunning custom built home w-extras & windows galore to enjoy million $ views. Engineered hdwoods. Two on demand water heaters. Wrap around decks! Community private boat launch into slough/river for fishing/boating. Tour the peninsula via the aerial virtual tour. Paradise on earth awaits.